Sarah Ashburn and Shannon Mullins are both females whose name begins with S and who work in law enforcement. Beyond that, they have little in common. 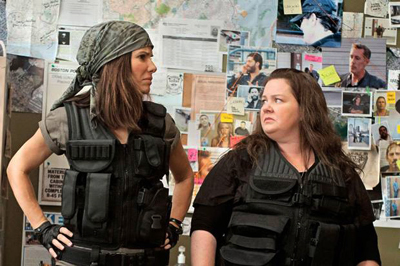 2013's The Heat teams Melissa McCarthy and Sandra Bullock together, and a terrific buddy comedy is the result. You may look like one of the Campbell Soup kids who grew up to be an alcoholic, but how well do you know The Heat?